(Austin, Texas - April 19, 2012) - Contrary to what the name might imply, pigeons have nothing to do with transmission of the equine disease known as "pigeon fever", which is also called Dryland Distemper. "Pigeon Fever" causes abscesses and swelling in the horse's pectoral region (breast muscles) causing a "pigeon-like" appearance, and is caused by the bacteria Corynebacterium pseudotuberculosis. Pigeon fever is most common in dry areas of the Western United States, but cases diagnosed in other parts of the country may be on the increase. Cases of pigeon fever tend to be seen more in summer and fall but can happen anytime of the year. 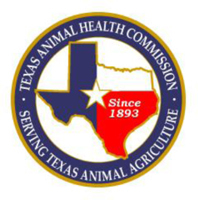 While the Texas Animal Health Commission (TAHC) regulates a number of equine and livestock diseases, the TAHC has no specific authority to regulate pigeon fever and therefore does not require vets to report cases. However, the TAHC has noted an upswing in calls and questions about this disease. The Texas Veterinary Diagnostic Laboratory obtained over 350 positive cultures for C. pseudotuberculosis in 2011 compared with less than 100 cases each year from 2005-2010. The Veterinary Medical Teaching Hospital at Texas A&M diagnosed more than 4 times as many cases in 2011 compared with 2010. A number of factors could be at play, including the recent severe drought, as well as fly activity. Horses affected by pigeon fever can show a variety of signs including fever, weight loss, swelling of the breast muscles or ventral abdomen (belly), and other areas of the body. Abscesses caused by the disease are usually external, and so the swelling is visible. Less commonly, the abscesses form inside the horse's body where they are more difficult to detect. Treatment of horses with internal abscesses can be difficult, with major complications possible. Prompt veterinary care greatly increases treatment success and reduces complications in any case of pigeon fever. It is important to realize the bacteria can live for extended periods of time in dry soil. Research shows that flies carry the disease and are crucial to transmission, so good fly control is a must. Basic sanitation is also critical - affected horses should be isolated, and abscess drainage (pus) should be disposed of properly. The draining material contains large amounts of the bacteria and contaminates the area around the horse, potentially spreading the disease. It is also important to promptly treat any wounds that could become contaminated by flies or dirt. Because of this infectious disease and many others that can affect your horse, the TAHC encourages you to call your veterinarian at the first sign of any illness or injury. The TAHC thanks Dr. Piper Norton of the Texas A&M College of Veterinary Medicine and Biomedical Sciences for her assistance with this update.